Brooklyn Stitchery offers teen sewing classes and beginner knitting or crochet. 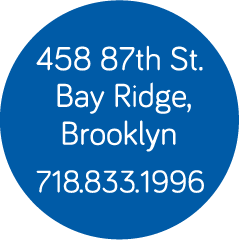 Whether your teen has never sewn before or is getting ready to study fashion Brooklyn Stitchery can teach teens to sew. Scroll down for our weekly after school classes, school break and Saturday workshops for teens. Classes fill up quickly so we suggest that you register early. Sign up for our email list to get updates for our future class schedules. This is a guided class structure where children create projects such as basic skirts, tops or dresses as well as accessories. We let the child pick the project based on their sewing level. They will learn basic skills of pattern placement, cutting and pinning as well as machine sewing. All materials needed for the class are included in the cost of each session. These classes run every week after school and are ongoing until June, so you will choose the day and time slot that work for you. If you need to miss a class, just let us know in advance to avoid needing a make-up as some of the other sessions may be full. Classes are small and have a 3 students to 1 teacher ratio. If your child is a beginner, they will learn basic skills of cutting and pinning their fabric along with operating a sewing machine to make a cross body bag. If your child has been sewing they will continue to improve their sewing skills by making an easy garment or accessory from our pattern collection. They will choose their fabric, pin and cut the pattern pieces and then they will be using the straight stitch and serger machines to sew their project. This is a 3 hour workshop which includes all materials needed to complete their project. Classes are limited to 6 students. Children and Teen’s Sewing Workshops can be purchased here. Spend a fun morning or afternoon with your child learning how to sew! In this workshop you will learn how to operate the sewing machine using basic techniques while making your reversible crossbody bag. You will learn basic cutting and pinning to prepare your fabric for sewing. This is a 3 hour workshop which includes all materials needed to complete your bag. Classes are limited to 6 students. Now that you have taken the beginner class and know how to operate the sewing machine, you and your child will advance your skills in these workshops. We have chosen some great projects for you to make together like pajama shorts or pants, simple t-shirts, ponchos, skirts or accessories. These are 3 hour workshops which include all materials needed to complete your project. Classes are limited to 6 students.